HCAHPS Questions - What are the 27 HCAHPS Questions? What are the 27 HCAHPS Questions? What does the HCAHPS Survey Look For? What is the Purpose of the HCAHPS Survey? When did Hospitals Begin to Use the HCAHPS Survey? How is the HCAHPS Survey Administered? Who is Eligible to Take the HCAHPS Survey? When do Patients Take the Survey? What Can Hospitals do to Improve HCAHPS Survey Scores? What Does CG CAHPS Stand For? The Hospital Consumer Assessment of Healthcare Providers and Systems Survey, or HCAHPS, has been employed since 2006 to measure the perspectives of patients treated in hospitals across the nation. Also referred to as the CAHPS Survey, it is the first standardized and publicly reported survey of its kind to be used on a national level. Pronounced “H-caps”, the HCAHPS Survey was developed by the Centers for Medicare & Medicaid Services (CMS) and the Agency for Healthcare Research and Quality (AHRQ). While the questions in the HCAHPS Survey may seem simple and straightforward on the surface, they were actually developed using the highest scientific standards over a multi-step process. In the development of the questionnaire, the government agencies employed a review of the literature available at the time, consumer testing, cognitive interviews, focus groups, input from stakeholders, a sizable field test, and multiple field tests. Before implementation, the HCAHPS Survey was endorsed by a wide range of institutions and organizations, including consumer groups, healthcare providers, Federal agencies, professional associations, purchasers and research organizations. The written version of the HCAHPS Survey is currently available in English, Spanish, Russian, Vietnamese and Chinese. The telephone and IVR versions are available in English and Spanish. We’ve created a handy “to go” version of this page. Download the eBook and take it with you. The HCAHPS Survey was designed with three goals in mind. The first goal of the survey is to collect accurate, useful data that can be compared from hospital to hospital on the perspectives of patients receiving care from the nation’s healthcare providers. The second goal of the survey is to encourage hospitals to provide a higher quality of care. The fact that data from the survey is publicly reported makes it more likely that hospitals will strive to deliver better service. The last goal of the survey is to increase public accountability of hospitals. The main goals of the HCAHPS Survey were established to guide the creation of the final product and helped significantly in its shaping. Those responsible for the creation of the HCAHPS Survey have worked diligently to ensure that the survey is useful and practical, producing data that can be used by a broad range of interests to better serve the public and all those receiving medical care throughout the United States. The information from the HCAHPS Survey began to be collected – voluntarily – in 2006. In 2008, the information from the surveys was first publicly reported. CMS reports the results of the survey for each hospital on the Hospital Compare website. The results published online are based on the past four consecutive quarters, with the oldest quarter being discarded when a new quarter arrives. The HCAHPS Project Team not only collects the data from the surveys and reports it but also makes adjustments necessary to ensure fairness. There are some factors that are beyond the control of hospitals that can impact the results of the survey. The HCAHPS Project Team accounts for any factors that would mar the results of the survey and makes adjustments before publishing the final results on the Hospital Compare website. While the HCAHPS Project Team designed the survey to gather information from as wide a spectrum of patients as possible, but there are limitations to the survey that must be accounted for – which is why some patients are ineligible to participate. For instance, the survey was not designed for pediatric patients or patients who have been diagnosed with behavioral health issues. Patients who only came into the hospital for a short period of time – those that did not stay overnight – are also excluded because they have not had enough interaction with the hospital staff to be considered in the overall survey. The HCAHPS Survey cannot be administered while the patient is still in the hospital. The patient to be sampled must participate in the survey within 48 hours to six weeks following discharge. The mode of the survey, whether by mail, telephone or another option, must be completed within the 48-hour to six week time period. If the survey is mailed out, the data must be collected within the six week time period to be admissible. When the first HCAHPS Surveys were completed and the results were in, many hospitals were faced with an unpleasant shock – they did not score well, much worse than they expected to. Fortunately, by learning ways to deliver a better experience to patients, many of these hospitals were able to improve their scores over time. The surveys had accomplished one of the main goals of the HCAHPS Project Team, bringing transparency and encouraging improvement by medical providers. 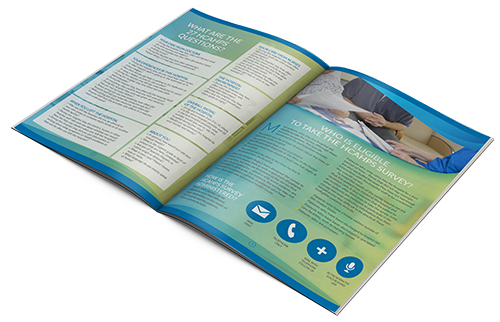 Hospitals and hospital staff can learn to produce a patient experience that meets the requirements of the HCAHPS Survey. Once hospital staff understands that a positive patient experience requires more than just maintaining the standard of care – that patients want and need to be cared for as a person – then it becomes easier to design a system of care that accounts for HCAHPS Survey questions. It is surprising for many hospitals to discover that patients generally expected the quality of the medical care provided by the hospital to be good. What patients were less certain of was whether their doctor, nurse or another medical provider would listen to them and genuinely care about how they felt. When hospitals begin to account for the way the patient feels on a personal level, raising the HCAHPS Survey scores becomes much easier to accomplish. 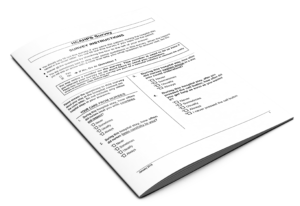 The Clinician and Group Consumer Assessment of Healthcare Providers and Systems (CG CAHPS) is the version of the CAHPS designed for use in doctors’ offices. Where the HCAHPS Survey is used throughout hospitals, the CG CAHPS covers patients who are getting treatment in private practices. The survey is available in an adult version and a version for children – patients 17 and under. The CG CAHPS also varies from the HCAHPS in other ways, including the fact that it is available in multiple versions. Allows patients to report their experience with their medical provider over the previous year. Also covers the past 12 months, but also includes the Patient-Centered Medical Home Item Set. Allows patients to report their experience with a medical provider during a specific office visit. The CG CAHPS survey forms are all available for download on the U.S. Department of Health and Services Agency for Healthcare Research and Quality website. The CG CAHPS serves a similar purpose to the HCAHPS Survey, allowing patients to get a clear picture of the experience of previous patients. With survey information made public on a regular basis, the public can make informed decisions about doctors, practices and medical groups. The doctor’s office surveys are also designed to improve the care that non-hospital medical providers offer the public. Transparency results in accountability and medical providers are given the opportunity to improve based on honest feedback from patients.